Whether you need accurate maps, the latest traffic info or access to your favourite music, the driving experience can be made easier – and much more fun – with the right apps. Here are five iPhone apps that all Aussie drivers should know about. You can count on Google Maps’ turn-by-turn navigation with as much certainty as you can rely on the sun’s rising in the morning. Plus, the app offers multiple options for any given route, meaning that you can pick and choose directions according to your needs. Live traffic updates and incident reports enable the easy evasion of troublesome spots, increasing the likelihood of a smooth, efficient journey. There’s also an impressive database featuring eateries, hotels, popular shops and venues for leisure activities. Do you want to be able to tell your partner, best mate or child where you are without the inconvenience of having to make a call or send a text? 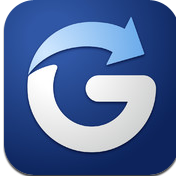 With the Glympse app for iPhone, notifying your loved ones of your location is a walk in the park. All you have to do is decide how long you want to connect with a particular party for, and they’ll receive a link with real time info. Glympse doesn’t involve connecting with a new network or engaging with yet another social media platform. Plus, recent updates mean that it’s accessible in an array of different languages, including German, Spanish, Japanese and Chinese. You don’t have to own a BMW to use the Ultimate Drive App, but it does come from the makers of one of the world’s finest luxury cars. It’s all about discovering, sharing and driving the very best roads on the planet – whether you’re looking for easy routes for cruising, stunning scenery or challenging adventures. Thousands of exciting and surprising journeys are available, each of them rated and reviewed by drivers who have experienced them. 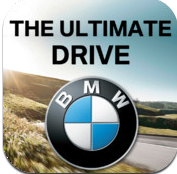 You can use the Ultimate Drive App to find roads locally, nationally or internationally. 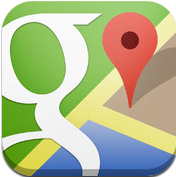 Snarl is a helpful addition to Google Maps. It provides detailed traffic information for Australia’s East Coast – Queensland, New South Wales and Victoria. The driver uses GPS to identify his/her location and the app displays relevant data in the vicinity. It’s also possible to select an alternate area, such as a large town or freeway, and view an overall picture of road conditions. An adjustable auto-update function means that the driver can choose to update information in real-time. 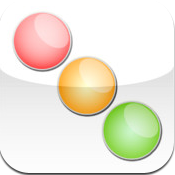 Snarl was featured in the Sydney Morning Herald’s list of 100 top apps for 2011. Does having access to your favourite music make you more enthusiastic about driving? Sometimes being able to listen to the right tunes at the right time can turn a journey – whether it’s a quick commute to work or a day-long, pleasure-filled country drive – into a much richer experience. Of all the music apps available for iPhone, Rdio Premium is definitely one of the best. 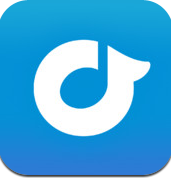 It provides a streaming service featuring more than 20 million songs. So, it’s highly likely that your favourite artists and all of their albums are on the list. Plus, it helps to expand your musical universe by providing recommendations from musicians, critics, tastemakers and even your friends. Any song can be played as many times as you like. You can also opt to add your preferred tunes to a queue, so that they’re ready for you at an appropriate time, or even store them offline. Moreover, Rdio Premium is suitable to both 3G and 4G connections.